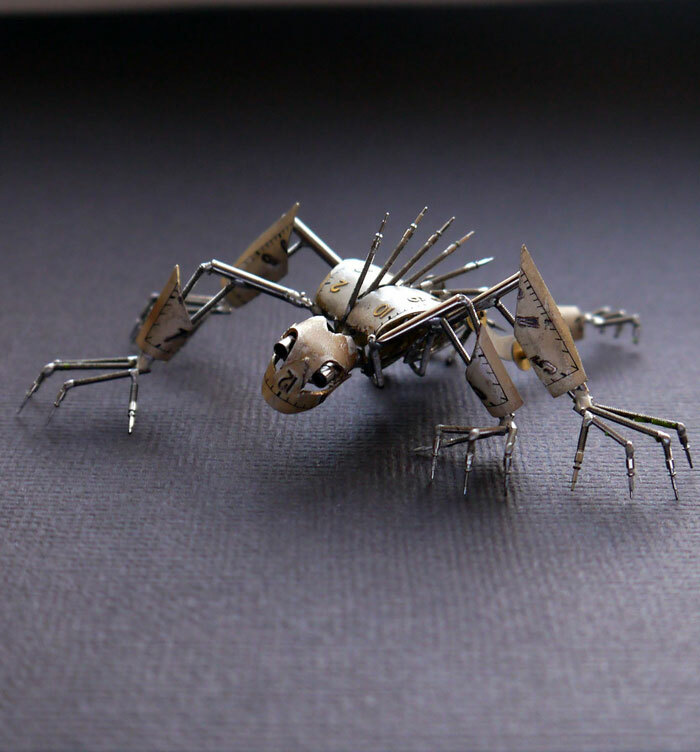 The son of a gearhead and grandson to a railroad man, artist Justin Gershenson-Gates has always been surrounded by all things mechanical. 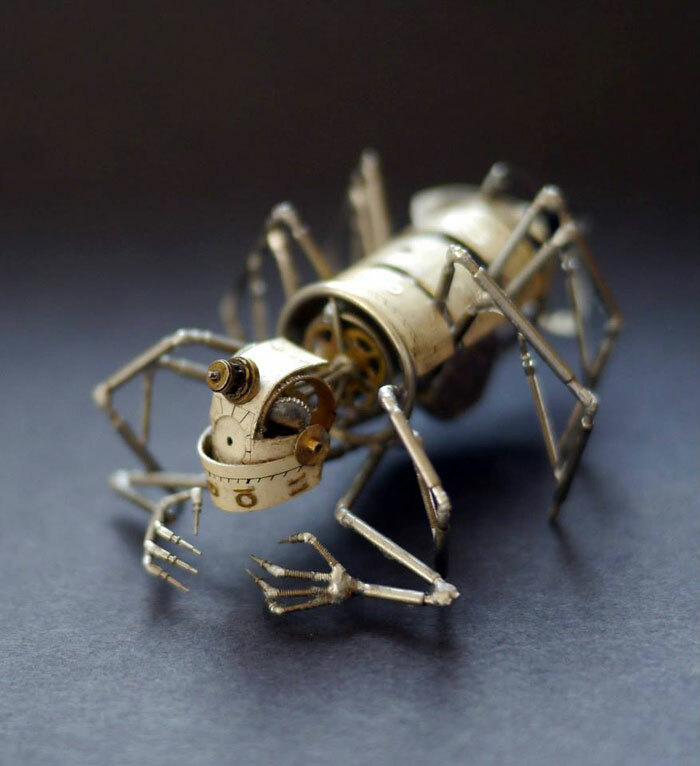 A self-proclaimed tinkerer and disassembler, Justin now takes apart old watches and other discarded objects and turns them into recycled mechanical sculptures and jewellery. 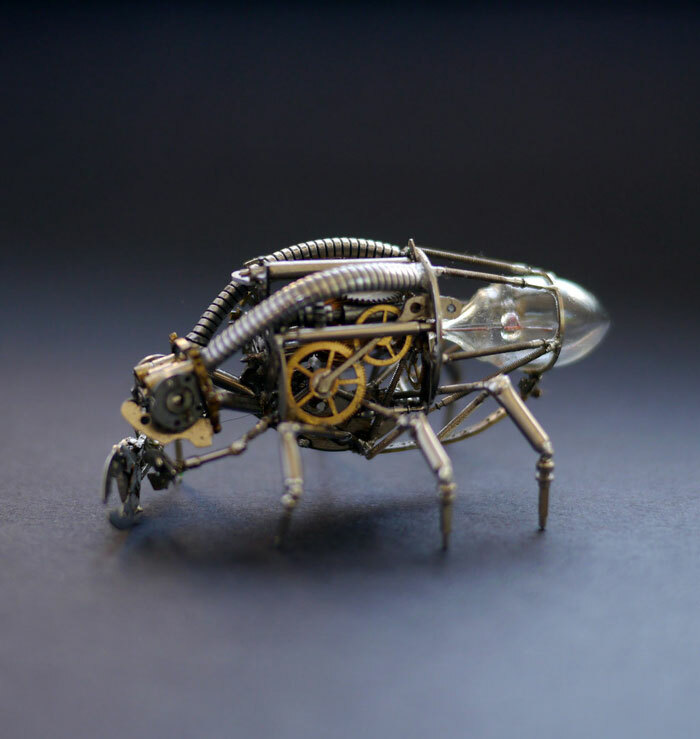 Online Justin is better known as A Mechanical Mind with dedicated followings on deviantART and Facebook. 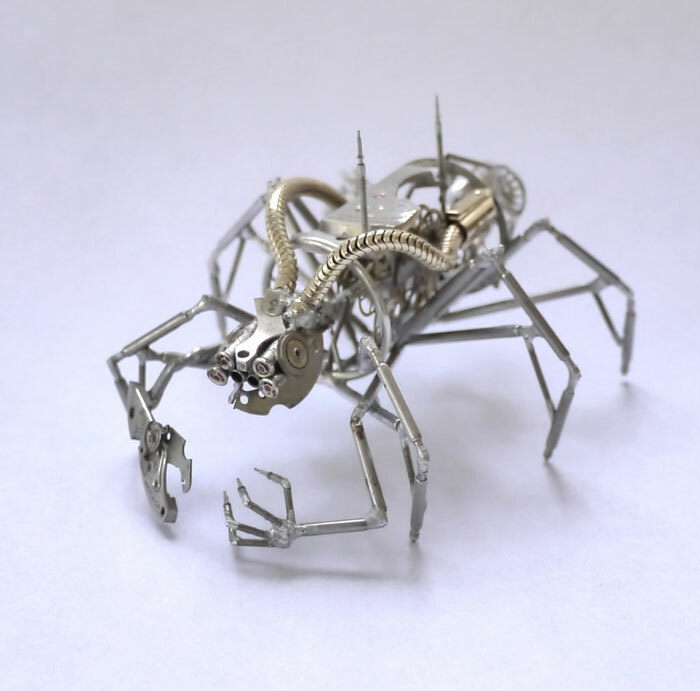 All of his work is also made available for purchase through his Etsy store. 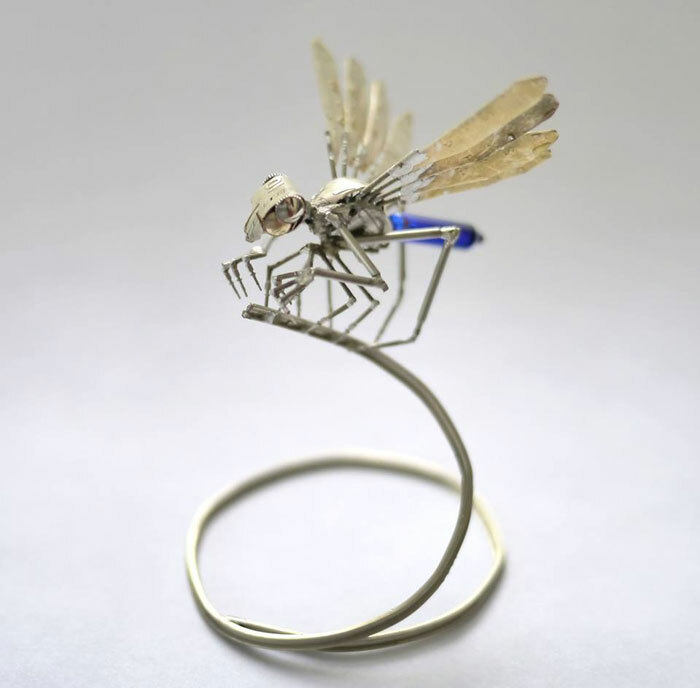 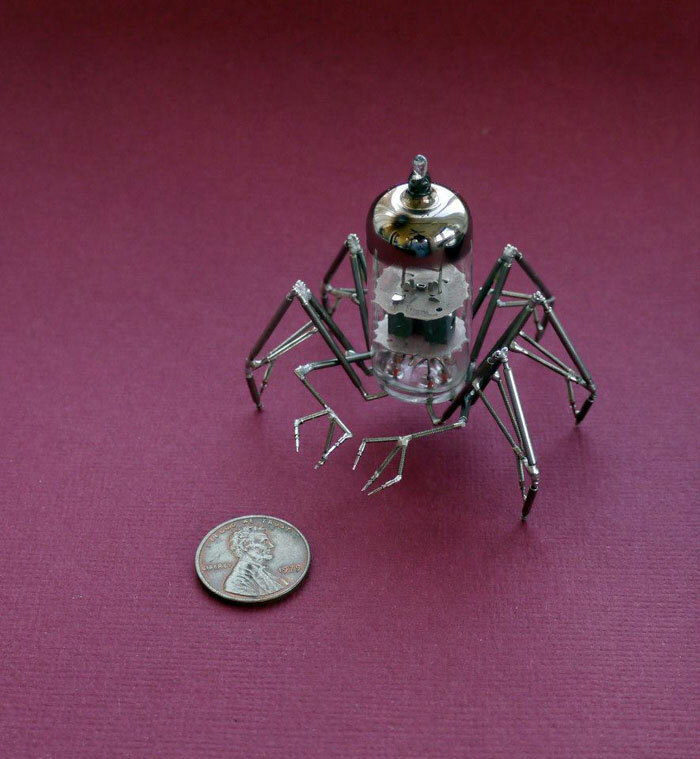 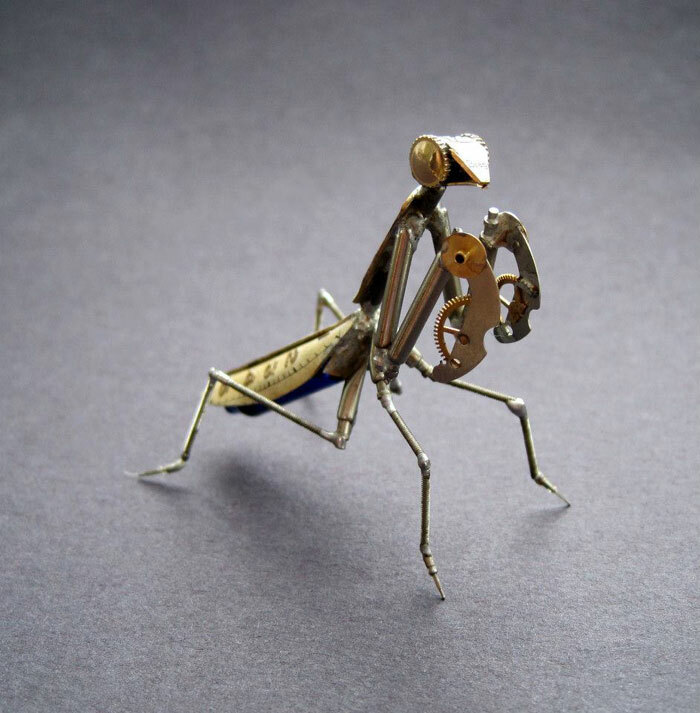 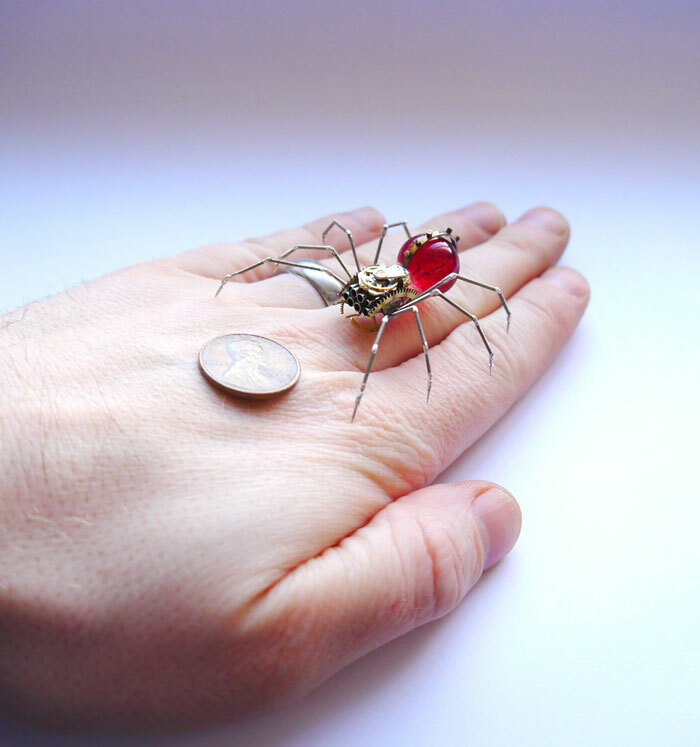 Insects made from old watch parts and discarded objects by Justin Gershenson.